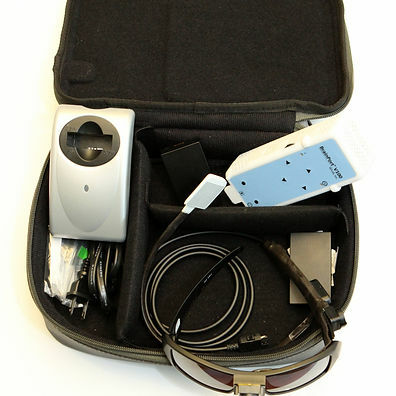 The BrainPort® V100 includes a video camera mounted on a pair of sunglasses, a hand-held controller, a tongue array, 2 reusable lithium batteries with charger, and a soft-sided carrying case. 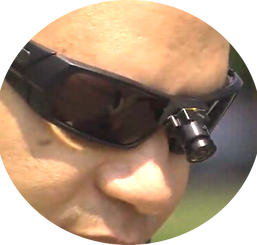 The BrainPort® V100 is being used by individuals with no usable vision, both congenitally blind and with acquired blindness. 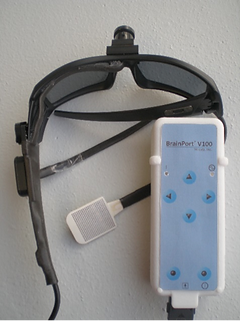 Supervised training is necessary prior to using the BrainPort® V100 device independently. Individuals need to complete a minimum of 10 hours of one-on-one training, over a three day period, with requirements and content customized for the individual user. 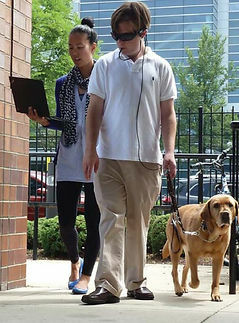 The training sessions cover proper interpretation of sensory information and operation of the device controls.